If you're familiar with IT system administration, syslog data is something you've most likely come across. It's a standard used to log server, system, and device messages. It was originally developed as part of the Sendmail project in the 1980's and has become the standard used for Unix-based systems and for network devices such as firewalls. Because of its widespread adoption, syslog data can be extremely helpful for IT operations and infrastructure management. 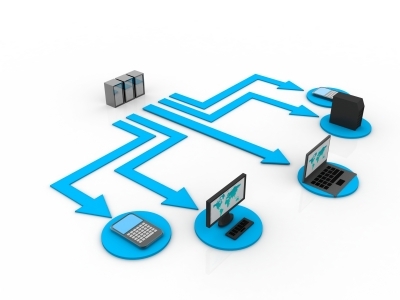 The problem lies in gathering all the data that is being generated by hosts across a network. In order to solve this problem, many organizations will configure hosts to send syslog data to a server (or servers) functioning as a syslog collector. This approach centralizes the storage of syslog data, which is helpful from a log management and availability perspective. Now that the data is being logged locally, a Splunk universal forwarder can be installed on the syslog collector and forward the data to Splunk indexers. The following post highlights some of the aspects of setting up syslog-ng collector server in your organization. Each of these sections will be examined below: Sources A source is a data source. In terms of collecting syslog data, this will usually be set to UDP port 514. However, it is possible to collect data from other network sources. For example, a customer might have a call reporting system which they can configure to send syslog data via TCP to a configurable port. A source can be created to handle this input. Below is an example of a source construct. “ip(0.0.0.0)” specifies the network interface to receive data on for this source. 0.0.0.0 means to capture data arriving to any interface on the host. It may be desirable to output some internally generated data such as messages from Syslog-ng and from the kernel. The following configuration can be added to the sources section to do this. Because the source, filters, and destinations are all stored as variables they can be used in different combinations in multiple log statements, which provides a great deal of flexibility. Last but not least, as part of a syslog-ng setup, log file rotation should be configured on the collector server so the log files are periodically deleted after they are ingested into Splunk.